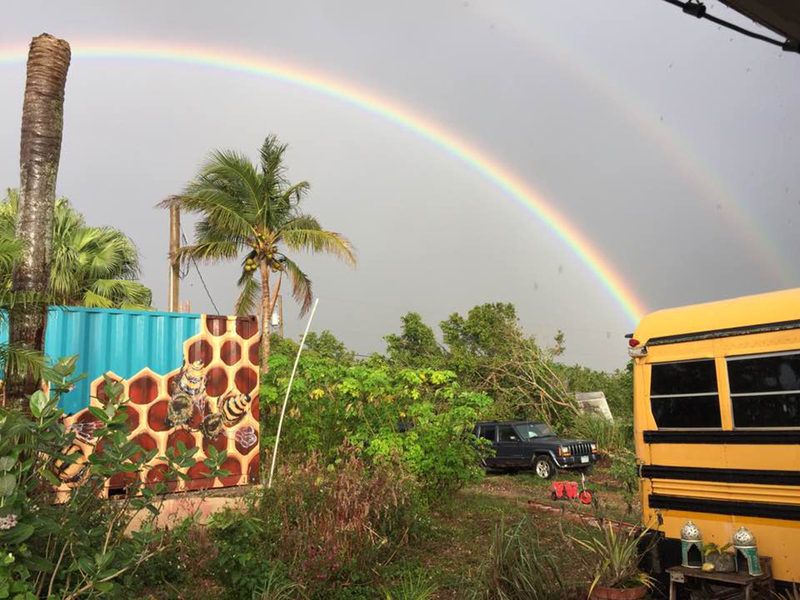 In early 2018 I was in Homestead, FL on Moon & Stars Farm, a “space for Nature and human traditions to regenerate what once was”. 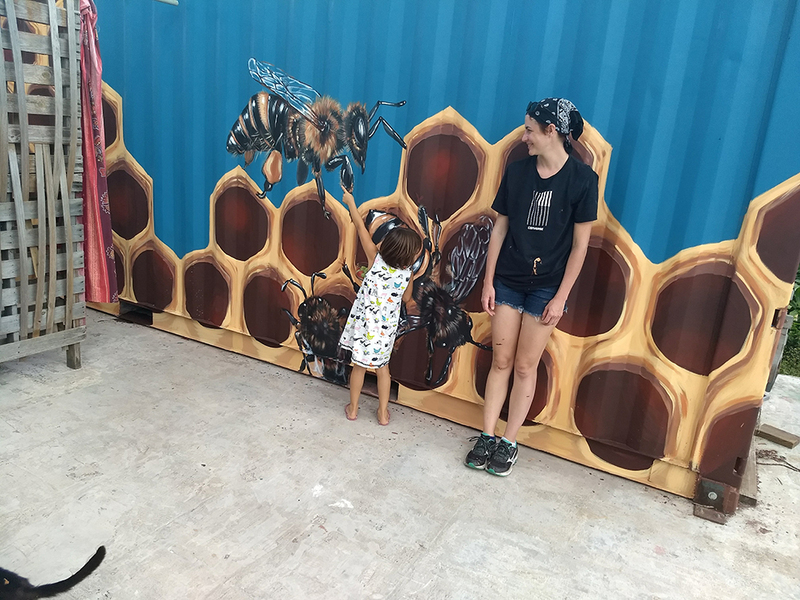 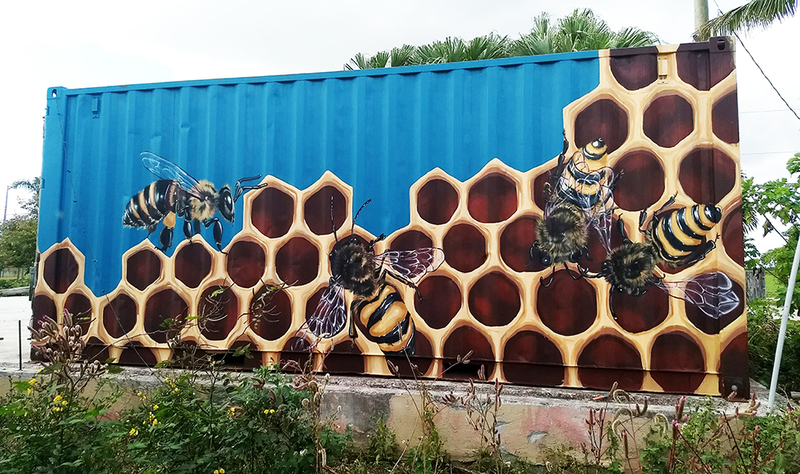 While I was staying on the farm I was commissioned to paint the shipping container on the property. 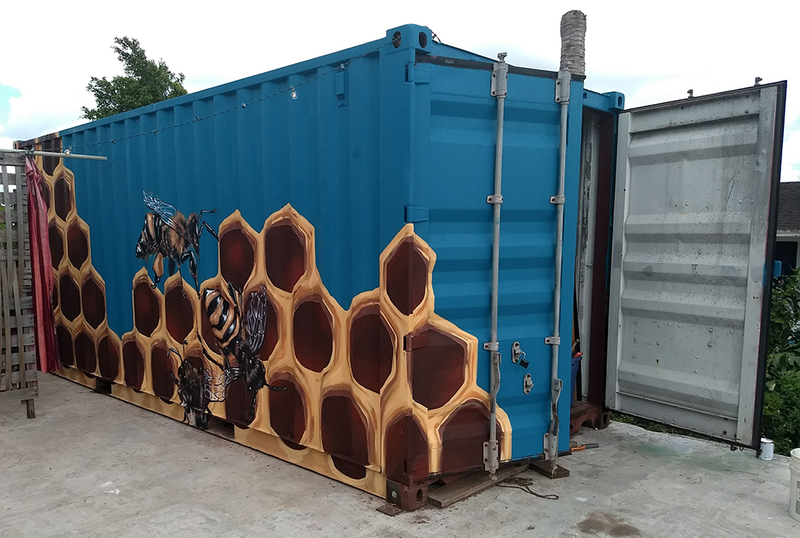 We chose to do a bee & honeycomb design because of the significance of the bee to the human/nature relationship and the ancient human tradition of beekeeping. 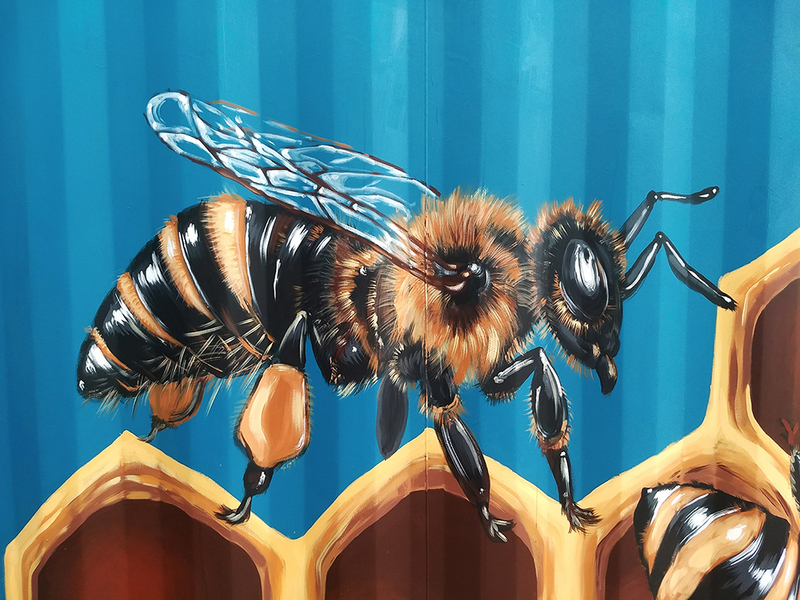 All images copyright of the artist (unless otherwise stated).